We all know that water plays a vital role in keeping your skin clean on the outside. A few tips for washing your face for optimal results are to wash before bed and in the morning as well. Washing too often can actually harm your skin. It’s important to focus on the temperature of the water you’re using as well. Water that is too hot can cause damage and strip your skin of the necessary oil barrier that it has. Did you also know that water plays a vital role in cleansing your skin from the inside out as well? Hydration helps the health of many organs in your body, including your skin. Dehydration inhibits your skin’s ability to perform at its best and can lead to premature aging and sensitive, dry skin. 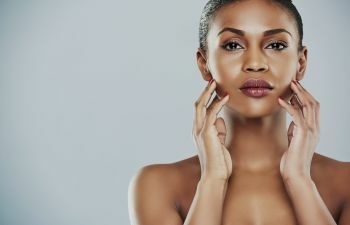 While using a moisturizer will and can help keep your skin moist, drinking water helps to balance your natural oils that are already on your face. Drinking water also flushes your system of toxins that are harmful to your skin. Clean skin enables your body to push out harmful bacteria that cause acne and other skin conditions. According to the Mayo Clinic, “your individual water needs depend on many factors, including your health, how active you are and where you live.” The National Academies of Sciences, Engineering and Medicine determined that an adequate daily fluid intake is 15.5 cups for men and 11.5 cups for women. These estimates are for the average, healthy adult living in a temperate climate. To discuss your skin concerns with a board-certified general dermatologist with advanced and personalized skin care treatment methods, call Medical Dermatology Specialists today. Dr. Jaime Weisman will offer you the compassionate care you deserve.